Twitter has launched photo editing and filter tools, escalating its stoush with Facebook-owned Instagram. The feud between the two social networks began when Instagram turned off support for Twitter’s ‘cards’ (the auto-expand that allows multimedia content to be viewed directly below the tweet) last week, in a bid to force users to its own website to view images. 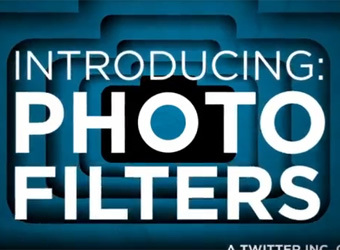 Now Twitter has hit back, by letting users edit and apply filters to images from its app. The long-rumoured feature of adding filters to Twitter photos launched today on both iPhone and Android. While the feud sees both web giants make a play for photo sharing fans, the nature of the two social networks is very different, writes Henry Cooke on the Sydney Morning Herald. Instagram CEO Kevin Systrom made the move to send Twitter users to Instragram to view its photos because, “We believe the best experience is for us to link back to where the content lives”. “A handful of months ago, we supported Twitter cards because we had a minimal web presence,” Systrom said, pointing out that the company released desktop profile pages in November. Previously, users photos and profiles could only be viewed via the network’s app. Updated Twitter apps are expected to be released later today.